Sunlife Solar is a full service residential and commercial solar installer serving Orange County and Southern California areas. 5 Star Reviewed and A Rated. Call us today to see if we can help you make the switch to solar! (949) 757-4119. Sunlife Residential Contracting I, Inc. CSLB License #1016224. 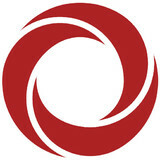 Grounded Electric Inc. was founded in 1999 by Mike Barreira. The primary goal of Grounded Electric Inc. is to provide top quality electrical services to Orange County and all its surrounding counties. Grounded Electric Inc. maintains a constant level of professionalism, integrity, and friendliness at all times. Our team of trained electricians can accomplish any industrial, commercial or residential project. Grounded Electric Inc. always strives to be a light in the community. We stand behind our work at all times- whether we are completing a major city project or providing lights for a family. 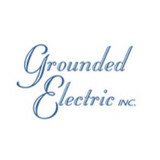 Grounded Electric Inc. is a company to trust today and years down the road. EcoForce Solutions - Invest in You, not your utility EcoForce Solutions offers complete energy efficiency solutions tailored for your home or business. We help home and business owners reduce their electricity, gas and water bills while increasing the value and comfort of their property, and maximizing the return on their investment. Every home and property is different, and should be treated that way. Based on your property’s unique features, we will help you save thousands of dollars on your electricity, and can even zero out your utility bill. Let us help you with your energy savings and to declare energy independence. American Solar Direct is on a mission to inspire the adoption of solar, delivering clean, affordable energy one roof at a time. At Unleash Solar, our mission is to rapidly change how Californians view alternative energy and educate every homeowner on how they can do their part to reduce carbon emissions: all while saving on their energy bills. Our commitment to clients is to offer them the finest in solar technology and equipment, at the lowest possible price. We specialize in saving our clients hundreds or even thousands of dollars off their electricity bills on an annual basis. From your initial solar consultation to financing the system, to engineering, installation and turning your system on, you’ll work with solar professionals with decades of experience and an unwavering commitment to customer satisfaction. We look forward to helping you UNLEASH the power of the sun. We are a local Solar designer/ integrator that specializes in beautiful, frameless Solar systems that bring solar into a whole new "Light". 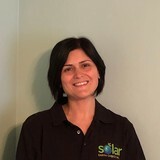 Sadler Solar Designs is a family business, we’re licensed C-46 Solar Installers. We use the latest American made solar products to design/build solar energy systems that are beautifully efficient. 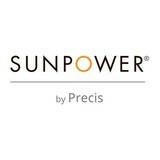 We help our clients generate savings by capturing the suns energy to power their future. Utilizing solar energy and experiencing energy independence, while giving back to the community and preserving the environment. Established in 1991, Suntrek Industries, Inc. is a leading provider of solar electricity, hot water, and pool heating systems. A manufacturer, equipment integrator, and licensed solar contractor, we are a one-stop resource for all the solar needs of residential, commercial, and agricultural markets. Solar Installation Experts in Orange County. At Revco Solar, we have been powering homes and businesses with endless, renewable solar energy since 1976. Since our founding, it has always been our mission to protect the environment and help consumers save money by promoting solar energy. As a clean, safe, reliable, and renewable source of energy, making the switch to solar power is an easy way for homeowners and businesses to put energy efficiency first. Revco Solar is a family owned and operated company with a friendly, personable, and experienced staff. With a convenient location in Orange County, we have helped numerous residential and commercial clients throughout Southern California. Revco Solar Engineering, Inc. has one of the oldest active C46 Solar Contractor Licenses that is still going strong with no blemish and dings in the entire State of California. 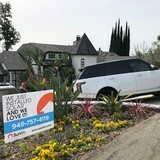 Based in Fullerton, California, Applied Solar Energy Solutions has earned a reputation as the premier builder of California residential solar power systems, commercial solar panels, industrial solar energy and solar heating systems for the homebuilding industry. Founded in 1989, our California solar installation company is licensed by the State of California (license # 935310) and has maintained an impeccable record. We are bonded, insured, and hold membership in a host of trade associations including CALSEIA, SEIA, NARI, BIA, etc. You can have complete confidence and assurance in our service. SunSolar's founders bring with them a combined total of over 25 years of experience in solar systems, finance, diversified business and law. SunSolar's renewable energy systems are continuously reviewed and revised to maintain its cutting edge position. The technology used is constantly updated through rigorous and thorough testing and implementation of the newest products available on the market. Along with off-grid solar, wind and hybrid energy systems that include batteries and backup generators, there are also grid-tied solar and wind operations. Grid-tied systems are attached to your Orange County, CA utility company so if you produce more energy than you use, your meter goes down and you build up energy credits. Find solar energy contractors in Orange County, CA on Houzz. Search the Professionals section for Orange County, CA solar energy contractors or browse Orange County, CA photos of completed installations and look for the solar energy contractor’s contact information.